Whether your baby is just starting to outgrow her nursery or your child is starting school, it may be time to redesign the kid spaces in your home. Designing kids’ rooms can be fun, but also daunting at times. 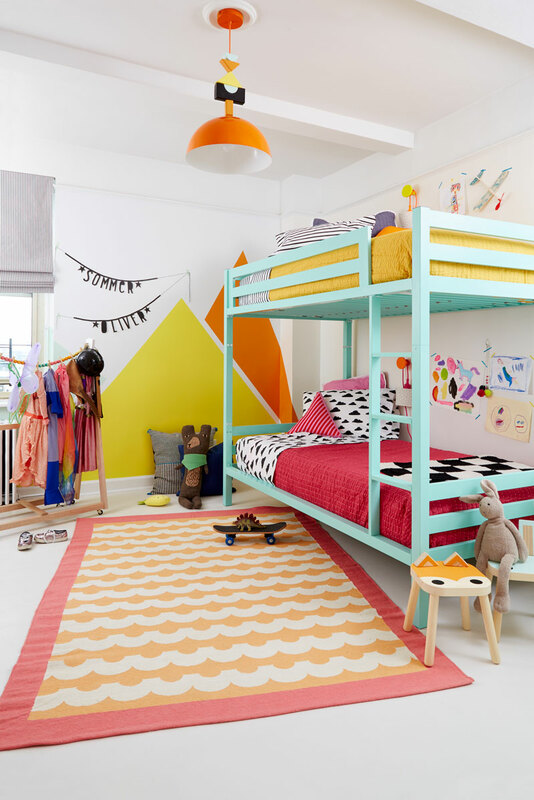 From bright color schemes to animal themes, here is some kids’ room décor inspiration to help you create a bedroom, playroom, or study room that can easily transition to different styles as your kids get older. Flat Roman Shades, Cornices, Pinch Pleat Drapery. bluegraygal. 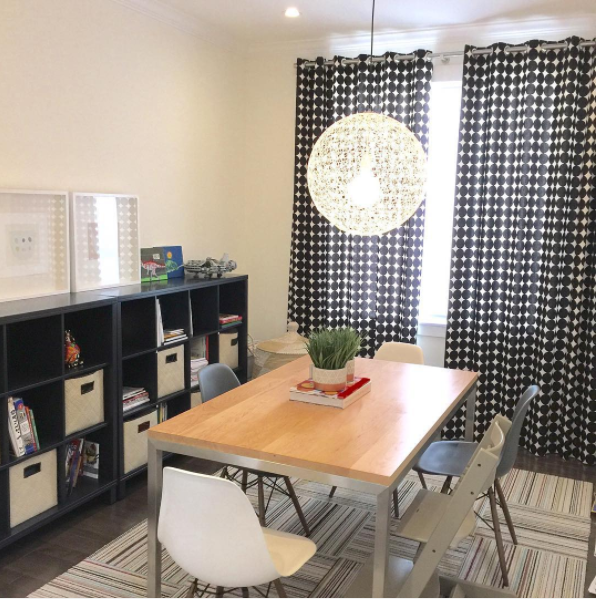 Kelly Page of bluegraygal let her daughter pick out the main fabric for her room’s makeover, and she settled on Echo Designs Dotkat in Glade. Kelly chose white cotton for the main Roman Shade and Drapery fabric. These treatments follow the three-pronged approach for light blockage: blackout shades, cornices, and drapes. This provides a soothing, dark environment at night for sleep or for naptime, and can also block the sun and heat during the day. The green is carried through the bedroom’s design in the built-in shelves and accents in the upholstery, while the walls are kept white to keep the colors from being overwhelming. Madison Design put together a study space that is suitable for all ages. 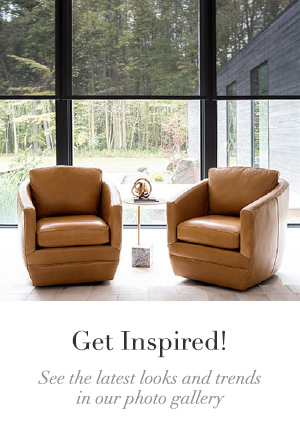 Grommet Drapery in DwellStudio’s Dotscape provides a graphic anchor for the room, and complements the mid-century modern Eames-style chairs and modern Moooi Random Light. Shelves with multiple compartments are perfect for storing books and crafts, and a big table makes for a spacious workspace for homework or playtime. Flat Roman Shade. Lauren Behfarin Design. Photo by Charlie-Juliet Photography. 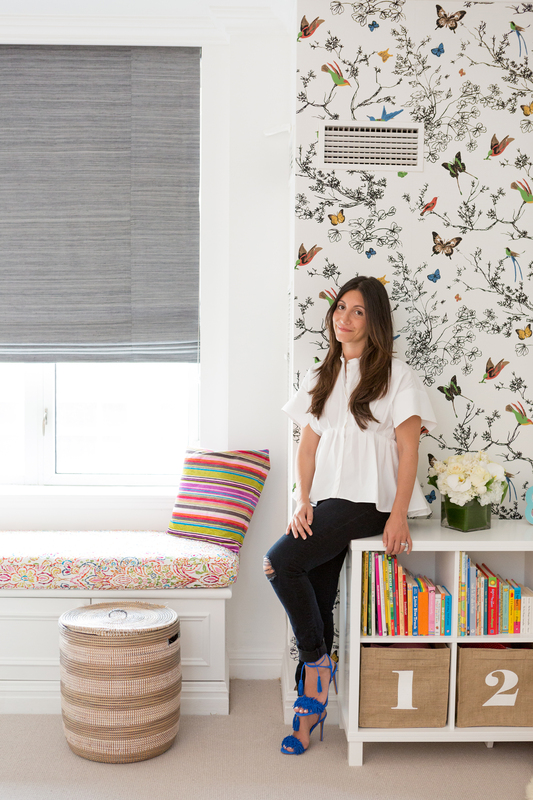 Lauren Behfarin designed this bird and butterfly-filled bedroom for her daughter Gemma, showcased in this Project Nursery feature. 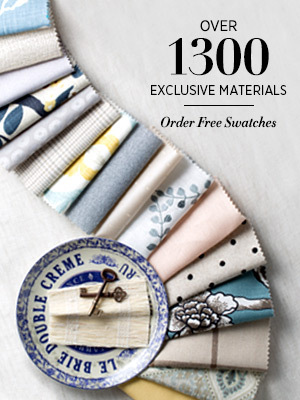 The centerpiece of the room’s design is the multi-colored Schumacher wallpaper, so the foundational pieces such as the furniture and the Flat Roman Shade are kept neutral. Lauren explained to Project Nursery that leaving more open space for play with less furniture turned out to be one of her best decisions in this space. Flat Roman Shade. Amanda Kingloff. Amanda Kingloff is the queen of crafts, but she had to pull out all the stops to decorate this bedroom for her 6 year old son and 4 year old daughter in their Brooklyn apartment featured in FamilyFun Magazine and on Project Kid. Similar to Lauren’s bedroom design above, Amanda added bright graphic designs on the walls and for the rug, and kept the Flat Roman Shade simple. Everything about the room maximizes space, from the colorful Walker Edison bunk beds to the inside of the door painted with dry erase wall coating to make an easy art station. Flat Roman Shades. Barefoot Blonde. Photo by Stephanie Sunderland. Apartment living can sometimes require a creative use of space. 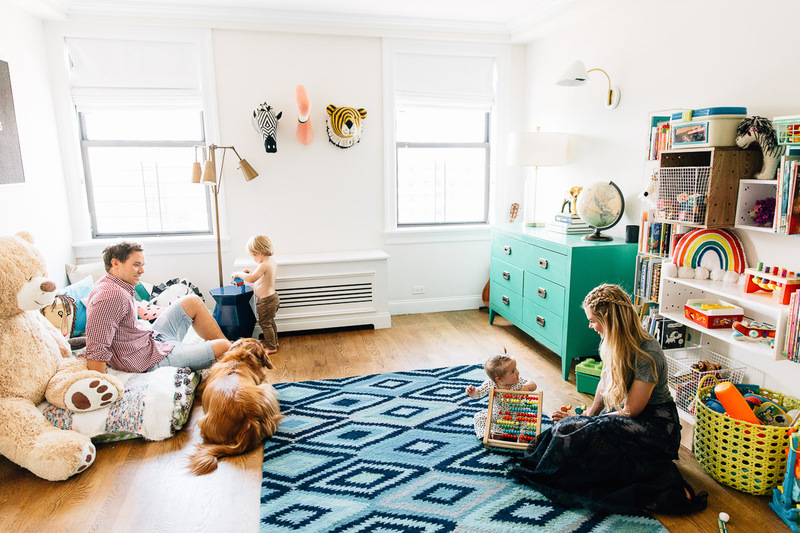 Amber Fillerup Clark of Barefoot Blonde converted their New York City apartment’s dining room into a playroom. The rug, dresser, animal heads, and toys all add splashes of color, so she kept the space clean with Flat Roman Shades (seeing a trend yet?). Amber’s son and daughter look right at home, and they have plenty of space to spread out those toys and lounge on the luxurious patterned floor mattress/reading nook. If your little ones are still very little, check here for nursery window treatment ideas. Our Design Consultants are ready to help you transform your kid’s room, no matter how old they are. 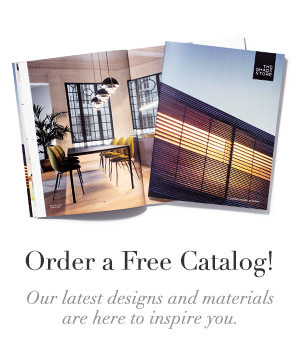 Give us a call at 800.754.1455 or visit one of our nationwide showrooms.